With all the action taking place outside of Hogwarts for the first time, Harry Potter and the Deathly Hallows - Part 1 represents a shift in tone for the Harry Potter games. Players will be on the run, fighting for survival on a desperate and dangerous quest to locate and destroy Voldemort's Horcruxes, engaging with Death Eaters and Snatchers in epic battle sequences at every turn. To amplify the action, players will encounter ferocious creatures from the previous films in addition to the adversaries Harry faces in the seventh film. They will need to muster their most powerful magic against relentless assaults from all sides. There are no more lessons, no more training. This time the danger is real. It's time for players to fight for their lives. A new game engine built specifically to leverage the technology of HD consoles ensures high definition graphics and intense combat gameplay that will immerse players in the action like never before! Under development by EA Bright Light Studio, Harry Potter and the Deathly Hallows - Part 1 and Harry Potter is being developed for the PLAYSTATION ® 3, Xbox 360TM, WiiTM, Nintendo DSTM, Windows PC, and mobile devices. With only your wand for protection, it's time to muster your most powerful magic against relentless assaults from all sides. Hold nothing back! Unleash an arsenal of formidable magic to defeat attackers, protect yourself from harm and evade capture. Fight Voldemort's minions, including Death Eaters, Snatchers and Dementors. Overcome a host of fierce creatures attacking on instinct alone. No other Harry Potter game has had this level of action! Use the Invisibility Cloak, Polyjuice Potion and Peruvian Instant Darkness Powder to avoid detection and sneak past adversaries. Use magic to create and wield cover. Throw your cover at enemies, turning defence into attack. Find potions that can be used to attack, escape, restore health or increase your luck. Your dangerous journey takes you through a host of new environments, from city streets to remote wilderness areas, to new and iconic wizarding locations; each presents different enemies to fight, challenges to uncover and quests to complete. A new game engine built specifically to leverage the technology of HD consoles ensures high definition graphics and visceral gameplay that will immerse you in the action like never before! The Kinect experience in Harry Potter and the Deathly Hallows™ - Part 1 gives players the ability to get closer to the action than ever before, using physical gestures to cast magic and defeat their deadly opponents. Use your own movements to cast spells and throw potions as you fight your way through unique missions created especially for Kinect for Xbox 360. Your real world movements are transferred to the screen, allowing you to truly experience Harry's plight. Timing and accuracy are essential, as each spell has its own unique movement. You'll have to perform the right gesture at the right time if you're going to defeat the Death Eaters and Snatchers that stand in your way. Fight side-by-side with friends and family to overcome the relentless assault, while competing against each other for the highest score. You can play as Harry and Ron or Hermione in two-player mode. You can play the story mode with an Xbox 360 (without Kinect). 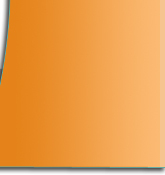 You will need the Kinect sensor to play the Kinect challenges. 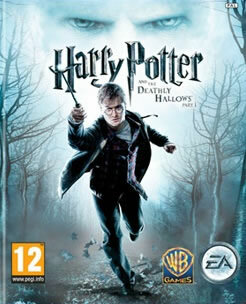 You can play Kinect challenges as single-player or two-player co-op, playing as Harry, Ron or Hermione. You use gestures and poses to cast spells and throw combat potions, to defeat the deadly opponents that stand in your way. In the two-player co-op mode, two people fight side-by-side to overcome the enemies. It's great fun, and can be quite competitive. How does Kinect work? Does the sensor read my hands, my arms or my entire body? Kinect initially looks for your body and maps a skeleton to it. It then specifically reads your arm and body gestures to enable spell casting, and is constantly tracking your skeleton throughout the game. Does Kinect use sound? Do you need to shout Stupefy? The Kinect technology can pick up sound but for the Harry Potter and the Deathly Hallows - Part 1 videogame, the team chose to focus on physical gesture casting which fits in with the fiction. What spells can you cast? Stupefy, Protego, Confringo, Expelliarmus, and Expulso. Each mission has different spells available to the player. You can throw Exploding Potions at enemies, which explode on impact. There are 12 single-player challenges and 10 two-player challenges, such as Survive the Death Eater Attack at The Burrow and Defeat all Enemies in a Snatcher Camp. Yes, there are achievements linked with the Kinect mode. Yes, there are dedicated online Kinect leaderboards, accessed via Xbox LIVE. Playing as Harry, you are on the run from the opening sequence, on a dangerous quest to locate and destroy Voldemort's Horcruxes. Ron and Hermione are right by your side, helping you defeat the Death Eaters and Snatchers that wait around every turn. With spells, stealth and friendship on your side, it's time to muster your most powerful magic against Voldemort's Dark Forces. Help is at hand when you work together with your allies. This is Harry's toughest quest yet – to defeat Voldemort and the Dark Forces, you'll need to rely on Ron and Hermione more than ever before! Ron can distract and befuddle with Decoy Detonators and his Deluminator. Decoy Detonators make a loud noise and set off smoke to create a diversion, while the Deluminator removes light sources from the world so you can make your escape. Hermione can slow down enemies and objects with Arresto Momento, helping you solve puzzles and explore the world. Work with Ron and Hermione to defeat Voldemort's minions, including Death Eaters, Snatchers and Dementors. Overcome a host of fierce creatures as you explore the world. Become a master of stealth or upgrade your magic. Fight your enemies with advanced spells or use the Invisibility Cloak to avoid detection and sneak past your adversaries. Explore the world to find ingredients and have fun brewing your own potions. Then attack, stun or restore health with the potions you have collected along the way. Your adventure takes you through a host of new environments, from city streets to remote wilderness areas, to new and iconic wizarding locations; each presents different enemies to fight, challenges to uncover, puzzles to solve and quests to complete. Play the multi-player mode with friends and family. One of you plays as Harry, while the other plays as Dementors. Compete to get the highest score. Will Harry or the Dark Forces win? Team up with Hermione and Ron and explore the world beyond Hogwarts' gates. Seek and destroy Voldemort's Horcruxes as you combat Death Eaters, Dementors, and more. Cast 20 different spells, collect magical artifacts and solve puzzles to complete the fateful task that Dumbledore could not. Explore locations such as the café on Shaftesbury Avenue, Grimmauld Place, the Quidditch World Cup Forest, the Ministry of Magic, Xenophilius Lovegood's gardens and the Forest of Dean – where danger lurks around every corner. Your wand is your lifeline! In a world full of Dark magic and Dark wizards, your wand is your best bet – with over 20 unique combat and exploration spells from which to choose. Manipulate environments to your advantage and attack enemies with an array of powerful spells and charms. Talk to portraits, interact with magical plants, transform objects, destroy obstacles, brew potions, conjure Patronuses, trap unsuspecting enemies into creature ambushes or sneak around enemies under the Invisibility Cloak. Upgrade Harry's stealth, combat skills and potion making skills and prepare him for the ultimate battle. Face Harry's worst fears and take on the evil Dementors for the first time ever on a mobile phone. Ron and Hermione are always by your side. Co-operate to succeed. Fight for your life on the go!